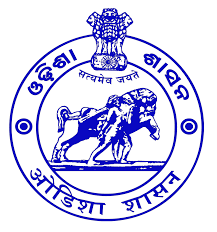 Bhubaneswar,: The Government of Odisha approved four investment proposals worth Rs348.5crore today which will help create employment opportunities for 6000 people. The proposals approved in the meeting belong to a variety of industries – pharmaceuticals, textiles, downstream industries in metals and minerals. 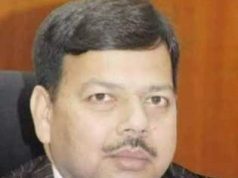 The government’s nod to the projects came during the 79thmeeting of the State Level Single Window Clearance Authority (SLSWCA) held under the chairmanship of Chief Secretary Shri Aditya PrasadPadhi. The SLSWCA accorded approval to a Kolkata-based pharmaceutical company to set up a unit for production of intravenous fluids at Ramdaspur in Cuttack at an investment of Rs. 64.95 crore. The plant’s production capacity will be 6.36 crore bottles per annum and the project will create direct and indirect employment for 365 people.This will be the first such manufacturing unit in the pharmaceutical industry of Odisha. The Angul Aluminium Park being developed as an exclusive state-of-the-art industrial park for ancillary and downstream industries for alumina and aluminium received a big boost with two investment proposals being approved by the SLSWCA. The first one was from aleading Mumbai-based manufacturer of aluminium conductors to set up a greenfield manufacturing unit at the Angul Aluminium Parkwith a capacity of 40,000 metric tonnesper annum (MTPA). The investment outlay was Rs. 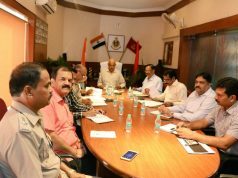 56.3 crores with employment potential for 200 persons.The second proposal for the Angul Aluminium Park was from a Rajasthan-based cables company which proposed to establish a 30,000 metric tonnes per annum (MTPA) manufacturing plant to produce aluminium conductors at an investment outlay of Rs. 50.30 crores with employment potential for 130 people. The Angul Alumnium Park is the first-of-its-kind in the Indian sub-continent with facility for directly obtaining molten aluminium from the smelter. The 300th proposal received by GO-SWIFT from a leading Kerala-based apparel manufacturer a few days ago was also approved by the SLSWCA. The leading exporter has committed to invest Rs. 177 crore to set up a unit for knitting, fabric processing and garment manufacturing at Tata Steel’s SEZ at Gopalpur in Ganjam district. The project will create employment opportunities for over 5,000 people, with a majority of them being women. With the objective of attracting 2.5 lakh crore of fresh investments and generating 30 lakh job opportunities as part of Hon’ble CM Shri Naveen Patnaik’s Vision – 2025, the Government of Odisha is diversifying and broadening the state’s industrial development across the focus sectors. Odisha’s investor-friendly policies and the development of world-class infrastructure have received very positive feedback from investors across the country as the State has been able to create an ideal business ecosystem for various sectors to flourish in the state. Over the last 3 years, the State Government has embarked upon the implementation of a Business Reforms Program to make it easier for companies to set up and operate in the state following which Odisha has been recognized as an “Achiever” in terms of implementation of business reforms with 92.09% score in the Business Reforms Action Plan rankings of 2017. Subsequent to the Make in Odisha Conclave 2016, the first groundbreaking ceremony was held in November, 2017 for 15 manufacturing units which grounded investments worth INR 11,690 Cr with scope to generate 8,187 jobs. The second groundbreaking ceremony in June, 2018 witnessed the inauguration of 7 manufacturing units and groundbreaking of 12 units with cumulative investment grounded at INR 2,675 Crore. This will create 8953 jobs. The second edition of the biennial Make in Odisha Conclave 2018 has been scheduled to be held in Bhubaneswar from November 11-15, 2018.